You may get plenty of precious photos storing in your iPhone or iPad, or download large amount of images from applications such as Safari or Mail to your device, then you need to transfer the photos to pc to release the device memory. When it comes to moving photos from iPhone to pc, most people would choose to connect their iPhone to computer to directly transfer iPhone pictures to pc through copy and paste. In addition to this way, there remains 4 free and easy ways to transfer photos from iPhone 7/7 Plus/se/6/6 Plus/6S/6S Plus as well as iPad Pro, iPad mini 4/3, iPad Air 2 to computer. 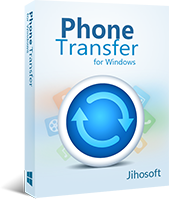 This easy-to-use phone data transfer program allows you to backup almost all types of data from your device to computer. 1. After running this program on your computer, click on “Backup Your Phone”. 2. Now connect your iPhone or iPad to pc using USB cable, the program will automatically detect your device once it is connected. 3. After connection, all data types will be displayed as below. Select “Photos” and click “Start Copy” to start transferring iPhone photos to pc. 1.Tap the Photos icon on the Home screen of your iPhone or iPad to launch it. 2.Browse through the Albums to find the photos you want to transfer. 3.Tap the “Select” button to select five pictures, then tap the Share button. 4.Tap Mail. This will open a new message with your selected photos attached. Then access the email on your computer to save the attached photos. 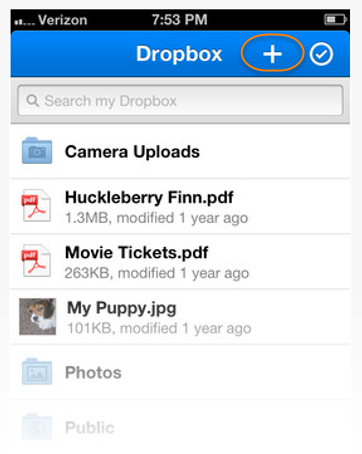 1.Open the Dropbox app on your iPhone and switch to the Uploads tab. 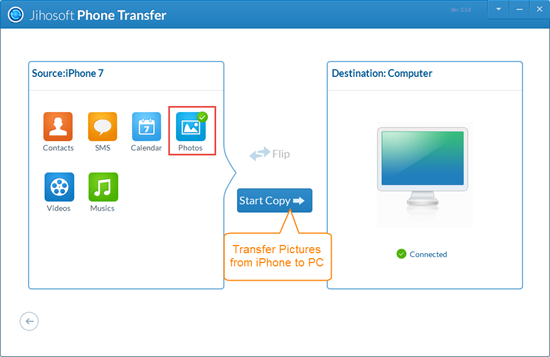 2.Click the + icon and select the photos you need to transfer to computer. 3.Choose an upload destination and start to upload photos to Dropbox. 4.Get to your computer and access to the photos in your Dropbox folder. 1.Enable iCloud on your iPhone or iPad in Settings and turn on Photo Stream. All photos you take or import to your iPhone or iPad will automatically upload. 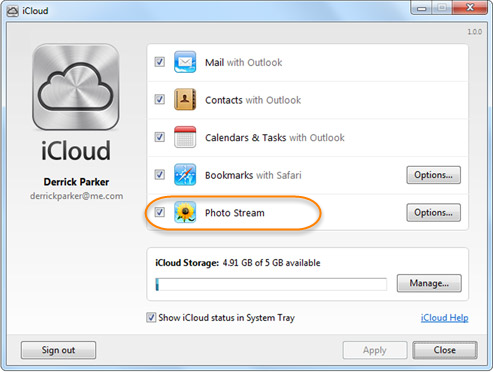 2.Open the iCloud Control Panel on your PC and select the checkbox for “Photo Stream”, then click “Apply”. 3.In your Windows taskbar, click the “Pictures” menu and select “Photo Stream”. 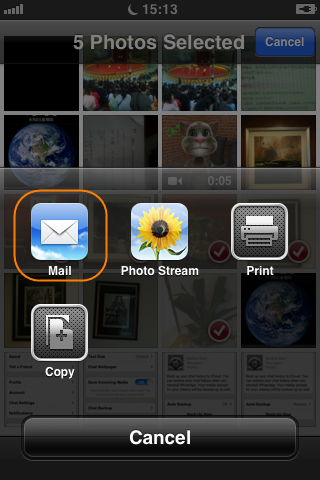 4.Double-click My Photo Stream to view the photos synced from your iPhone or iPad. 1.Open iTunes and connect your iPhone or iPad. 2.Click the Photos tab and check the box to “Sync Photos from”. 3.Choose the application you want to sync photos from in the pop-up memu. 4.Choose to sync all folders or selected folders, then click “Apply”. Note: If you back up your iPhone or iPad with iTunes, free iPhone Backup Extractor will be helpful to extract photos, videos, contacts, messages from iTunes backup and output to readable formats. Don’t hesitate to try it out.